US-airline lounge memberships, I’m assuming, used to involve white-gloved stewards fetching you from the security queue and whisking you into a space of refinement and comfort so you could relax before your flight. Unfortunately, this elegance was eventually taken over by harried traveling salespeople cramming stale pretzels and sweaty cheese into their food-holes and stinking up the bathroom with airplane bottle whiskey farts. 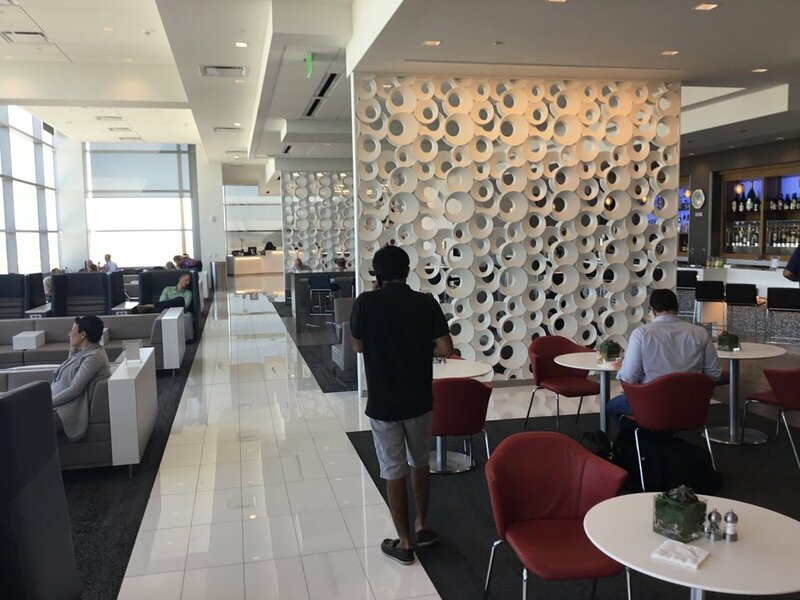 Clearly something needed to be done, so the airlines begin to revitalize their lounges with nicer fixtures, elevated food offerings, and a fresh, consistent brand identity. The only downside is that these new fancy lounges quickly filled up with people (and this wasn’t helped by the increased popularity of credit cards offering lounge access). I know I’m getting the history at least partially wrong here, but I’m not that concerned about it. What I am concerned about is the sudden need to cut down on lounge usage by changing what a lounge “membership” even means. In the good old days (meaning 2017), you could pay for a lounge membership from Delta/American/United and then access one of their lounges no matter what airline you were flying. Now, those memberships only get you access if you happen to be flying Delta/American/United that day. So not really a membership at all. There are a few things that seem short-sighted about this collective decision (or should I say American/United’s craven need to do whatever Delta does). First, lounge members are the only ones actually paying retail for lounge access. Everyone else is getting it either at a bulk discount rate (like those who access a lounge via credit card) or as a bundled part of a larger suite of benefits (either through elite status or a premium fare). I get that premium passengers and elites are super important to cater to, although it’s still odd to attack the people most willing to pay outright for a certain service. Second, there is a definite marketing/branding value to a passenger visiting a lounge even if they don’t fly that particular airline. Any venue that hosts even a nominal amount of foot traffic will pitch the number of ways that potential advertisers can reach customers who enter that space, and airports are generally seen as an extremely high-value venue for that type of advertising. A branded airport lounge is essentially a commercial for that airline, complete with a controlled, idealized space that presents everything good about an airline to the customer. Moreover, since lounges don’t cram you into tiny seats and subject you to the whims of rude flight attendants, an airline’s lounge is probably better advertising for the airline than a flight on that same airline. Plus, any customer who pays for an annual lounge membership is clearly not an occasional leisure traveler, but rather a potential high-value flyer who will bring repeat business. Yet by limiting that customer’s ability to enter the lounge, the airline is explicitly turning that potential business away. Third, airlines are getting rid of the entire reason you’d pay for lounge membership in the first place, versus getting it from a credit card. For years I considered buying a Sky Club membership, since the airlines I fly most often out of SFO are Alaska/Virgin, American, and Delta. All three airlines’ gates are connected post-security, which means I’d get a lot of use out of SFO’s excellent Sky Club. Okay, so what about that money-saving trick I mentioned? For American and Delta flyers, the simple answer is just to get the right credit card. Duh. The problem is that, for United flyers, Chase’s 5/24 policy prevents many people from taking advantage of the credit card option. The United Club card is a pretty decent card all things considered, but in today’s Mad Max Fury Road-esque churning environment, it’s out of reach for most of us. What isn’t out of reach, however, is an Air Canada Maple Leaf Lounge membership. AC offers three tiers — Canada, North America, and Global. The North America tier is the one I’m most interested in, since it offers lounge access to most United lounges in the US if you’re flying on a Star Alliance flight that day. Normally this would be a clear disadvantage when compared to the United Club card’s full membership privileges, but with United following Delta’s lead and eviscerating the whole idea of “membership,” there’s now no functional difference. The North America membership costs $495 Canadian, which comes out to around $430 after you include the tax. That’s certainly not cheap, but it’s less than you’ll pay United for similar lounge access, and it’s even nominally less than a United Club card. I thought maybe it was limited to people in Canada, but when I entered my customer info on the purchase page, it let me enter my address and billing info in the US. This isn’t a deal that I’d take advantage of personally, since I don’t fly United all that often to begin with, but I could see it making sense for a United semi-frequent flyer in a place like ORD where the United Club is really your only option (especially now that United is discontinuing day passes). I wasn’t going to write a post about the Maple Leaf thing on its own, since I don’t think it’s that great of a deal. However, when combined with my bloviating on the value of letting people who pay for lounge memberships into the lounge, I feel like it’s worth it. What about you? Are you chomping at the bit to join the Maple Leaf club?